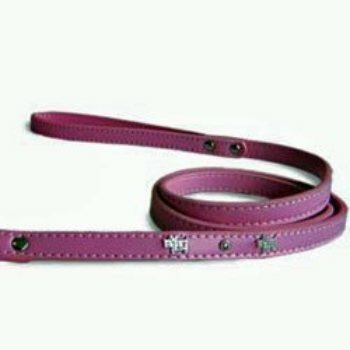 Made from genuine leather, both the Doggie Bling collar and leash are decorated with multiple rhinestones. The Doggie Bling lead is made by Dogo Design and is the matching leash for the Doggie Bling Collar. This lead is highly detailed and uses only the best metal hardware. Choose from two colors, black or pink.